1. 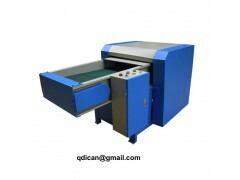 Microfiber opening machine is used for micro fiber loosening and making fiber fluffy and soft. 2. Microfiber material can be 0.8D, 1.2D, 2.2D, 3D, 32mm, 51mm, 64mm recycle and virgin hollow fibre. 3. Capacity can be 100-600kg/h according models and client need. 4. Machine with special V-wire rollers, usage life 4times than normal ones. 5. Electricity key parts adopt world famous brand, such as Omron, Siemens. 6. All rollers with professional dynamic balance processing. 7. Rollers with fiber anti-jam device, easy for maintenance. 8. Please let us know your requirement for capacity and fiber details.